Explore the power of regression analysis for modeling the past and future, focusing on a technique called the linear least squares method. 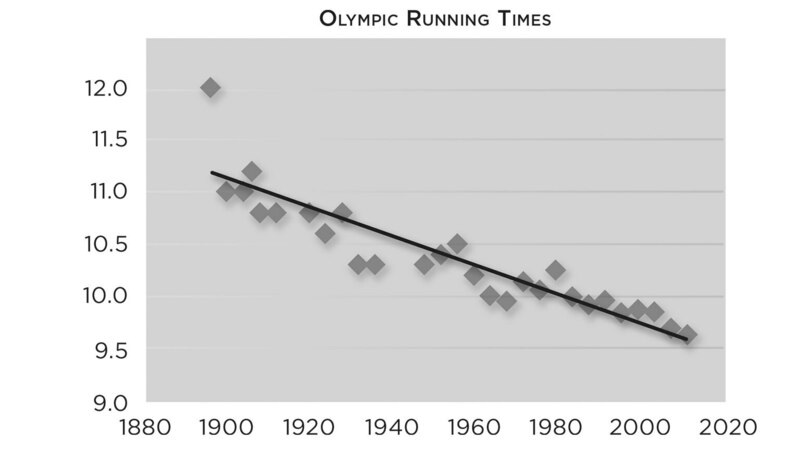 As an example, use data from Olympic gold medal times for the 100-meter dash. Calculate a theoretical fastest possible time for the event.